Jason Cowan lives the bi-coastal lifestyle in the great Pacific Northwest and classic Southeastern United States with his adventure-loving wife and four kids (who he’s currently trying to teach to roll a whitewater kayak). As a family they chase the sun and the next adventure. Jason grew up a natural explorer in Asia, getting himself across the islands of Hong Kong and Japan to and from school, into and out of local markets, and back and forth across beaches and mountains. He spent twenty years working in the corporate world but now rides the wild waves of entrepreneurship, managing a handful of hustles from building a retail business, developing a consumer product, financial coaching, teaching, writing, Instagramming and adventuring for a living. 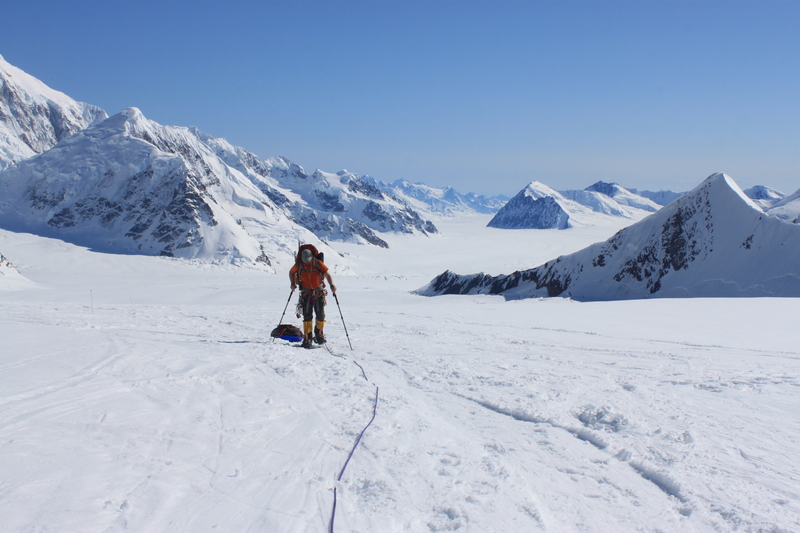 Jason is ALWAYS planning his next adventure, be it on a whitewater river, a remote glacier, or a dusty mountain peak. Jason has a host of passions: adventuring, people and family, business and entrepreneurship, writing and life. He is desperate to live life awake: to wake up and rise up and overcome through the power of adventure and story. And he wants to help others do the same. Through encouragement, through coaching and by telling his story, he hopes it will inspire others to rise up. Jason, like a lot of people, has been through physical, relational, career and spiritual situations that gave him two choices: run, hide and let the world run you over, or overcome. As the pressure mounted and challenges gained speed, Jason knew that he had to dig deep into his family, his faith and his inner strength in order to find the ability to keep gaining victory over those things that would keep him down. Jason has also been able to look back at his experiences to find strength. 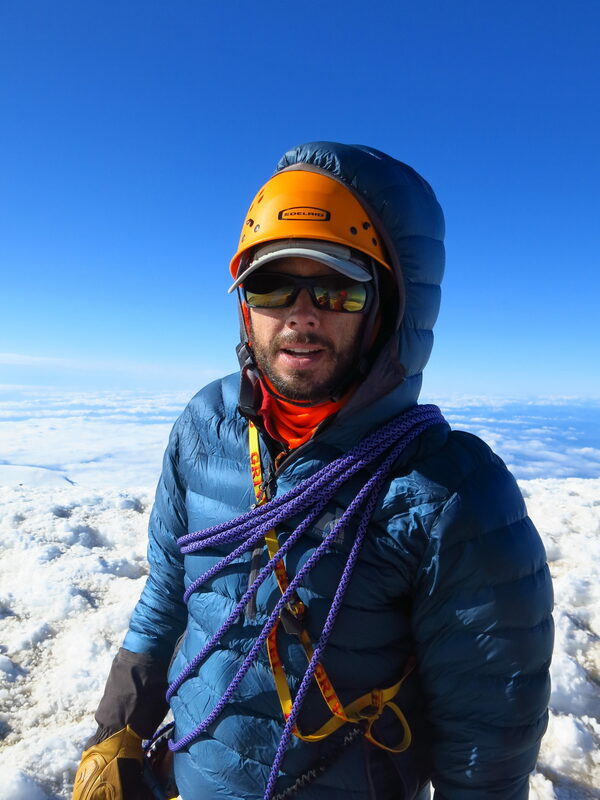 He has spent years in the outdoors, on climbs, on hills, or hucking down whitewater rivers and class 5 waterfalls. Each new experience became a signpost reminder of a challenge overcome. Not because he always made perfect decisions or had perfect outcomes, but because his experiences taught him that he was able to overcome if he was patient, trained well, looked fear in the face and pushed himself. Beyond himself. Out into new terrain, new experiences, and out into new victories. All of that said, The Riser Life is Jason’s story about the overcomer life, the riser life, getting up, standing up to injustice and difficulty, and living a victorious and glorious life! We just love your adventures from your account, The Riser Life. What inspired you to share your adventures? What are your goals by telling your stories and sharing your photographs? 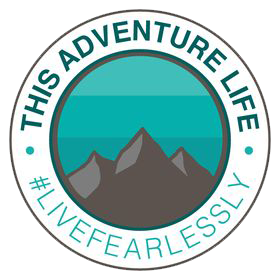 I share my stories and photographs and adventures because I want to inspire people to wake up and live a full life! I’m not a professional athlete, I’m just a simple man with a busy family of a wife and four kids, a busy life and a bunch of dreams! But years ago I fell in love with the outdoors and wanted to learn how to climb big mountains and paddle whitewater. Really, I just wanted to find fun ways to be outside. So, I started building skills and experiences. And my experiences became the foundations upon which I built an overcomer life, realizing I could rise up over the physical, relational, career and spiritual challenges I have faced by hearkening back to the adventure challenges I have overcome, remembering those challenges and reminding myself how I overcame them. That doesn’t mean I’ve always summited or always achieved every goal, but it means that I have kept trying and kept fighting, never quitting, and strived to learn from every failure to be a better man and better adventurer the next time. My wife and I live part of the year in the Southeastern United States and part of the year in the Pacific Northwest. 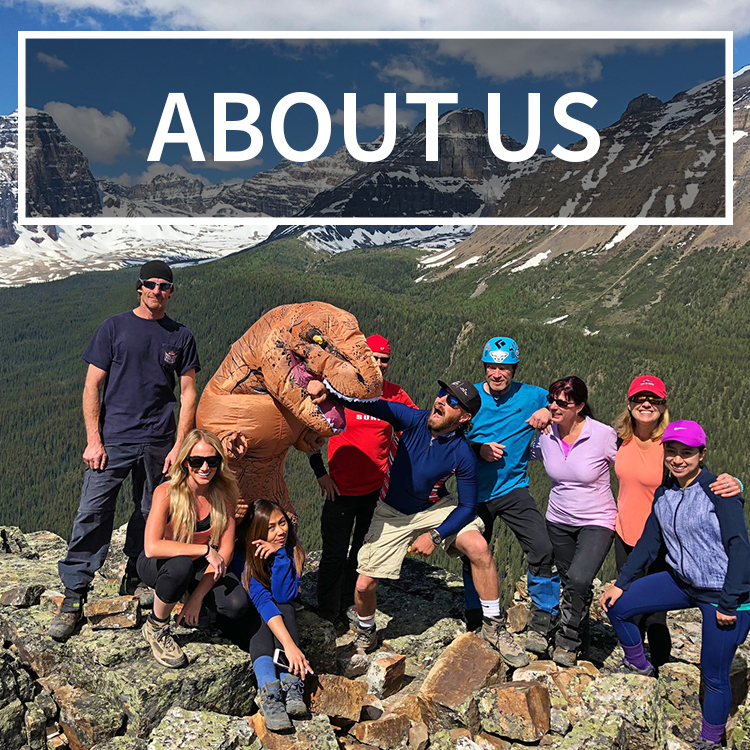 We have family, friends and people we love on both sides of the country, virtual and physical businesses that can be managed from anywhere, and adventure passions on both coasts. We creek (whitewater boating), hike and camp in the Southeast, and climb glaciers in the Pacific Northwest! Both are home and always will be. 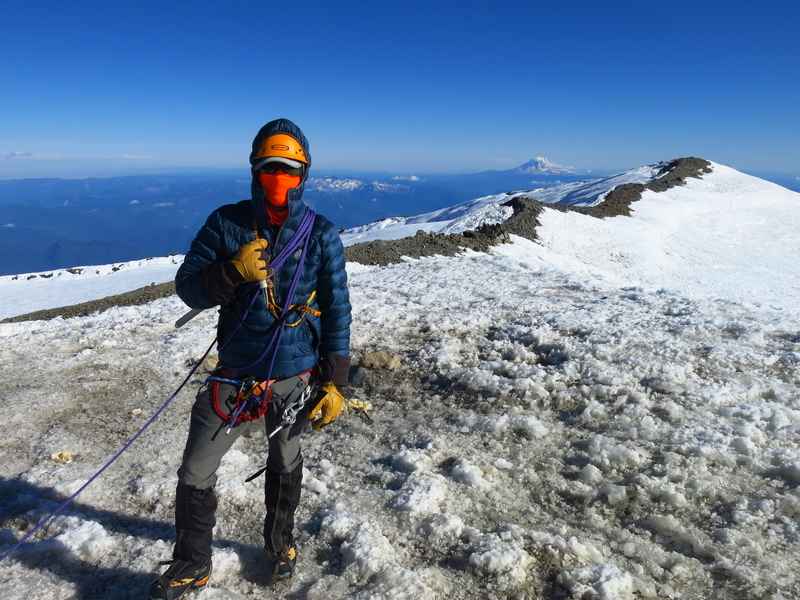 I love to train for whitewater at the US National Whitewater Center, hucking waterfalls on the Tellico and on Wilson Creek, and climbing Rainier, Baker and other Cascade volcanoes, and also love to hike in the Enchantments. 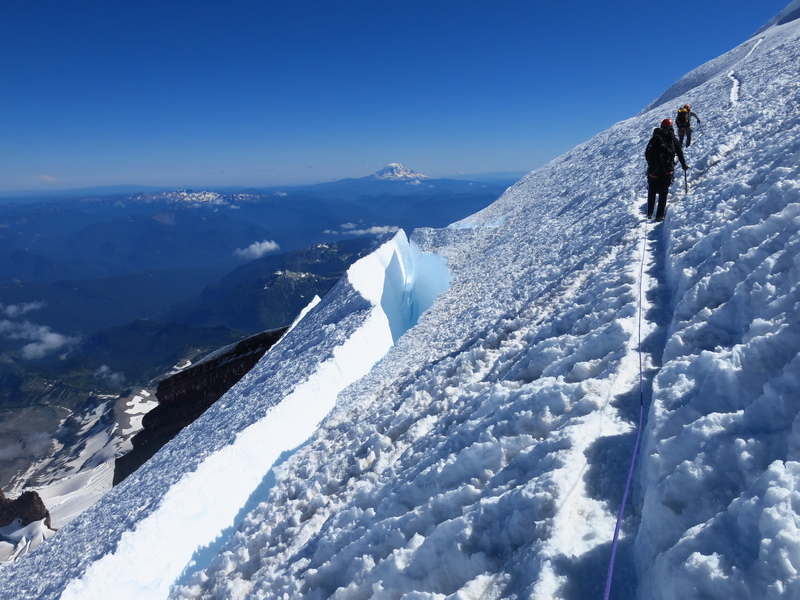 You are going to be attempting to make your seventh summit to Rainier this year! 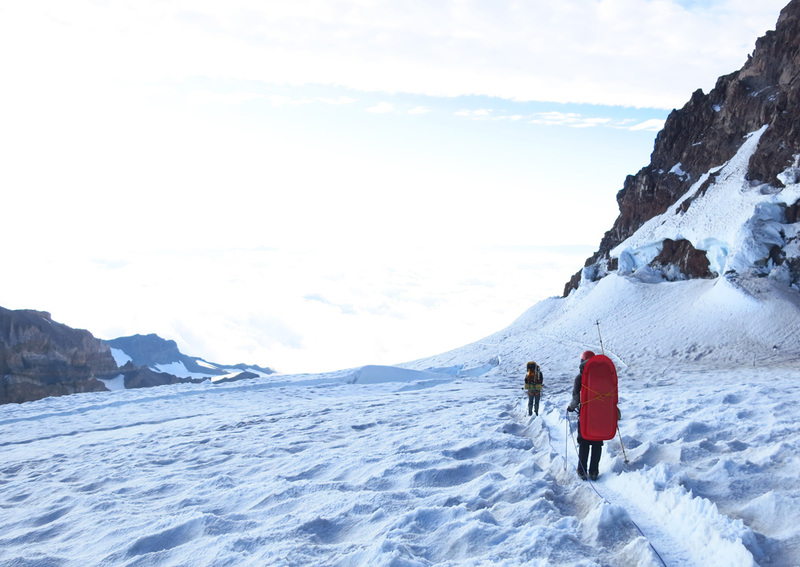 What is it about Rainier that brings you back? The more time I spend on Rainier the more it feels like home. Although I’ve had failures on Rainier due to weather or sickness, even the failures have been part of the journey. I like meeting new people on the mountain and recognizing old friends. I like seeing how the route changes year after year. I love learning how the year’s snows affect the climb. And I like knowing the mountain well enough to bring new friends to see it for the first time. 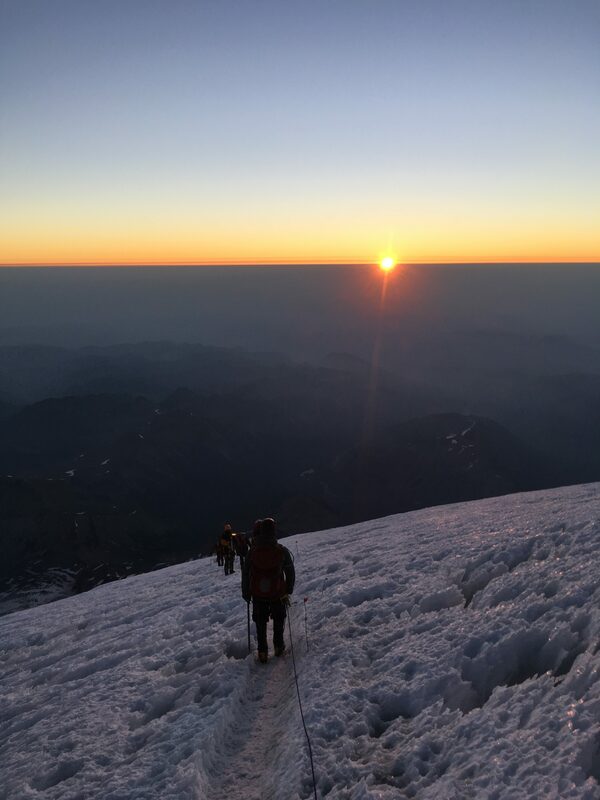 What are some of the obstacles you have encountered while summiting Rainier, and what have they taught you? 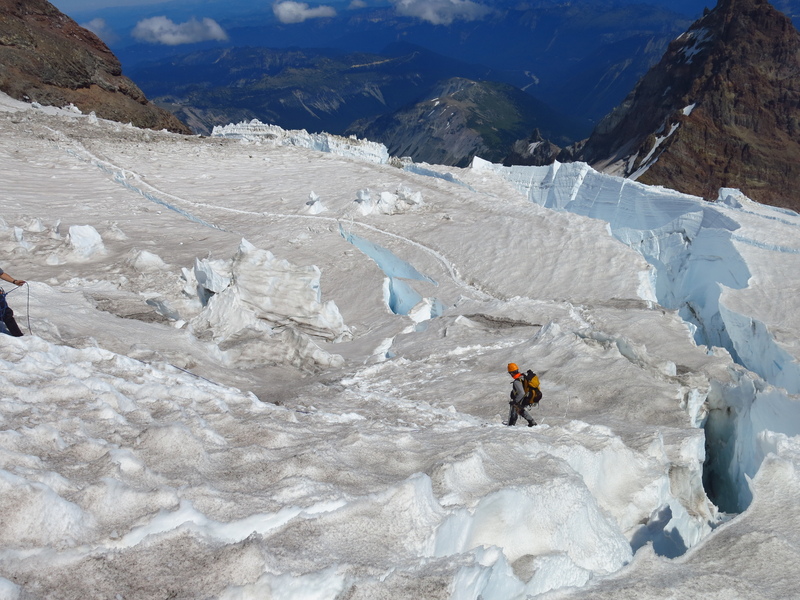 Although I’ve had some success on Rainier and other volcanoes (although my summits pale in comparison to the many summits others have on those mountains), probably my greatest obstacle and learning experience so far came while trying to summit Denali in 2015. My climbing partner Brian Dickinson and I climbed quickly to Camp 4 at 14,200 feet (roughly the summit altitude of Mt. Whitney and Mt. Rainier). We eventually climbed up to 16,500 feet (the top of the headwall), but then got turned around by weather. We then spent about a week at Camp 4 sitting in -25 degree weather and 2-3 feet of daily snow. We made the tough decision to head down due to dwindling food supplies and new weather that was coming to settle on the mountain. 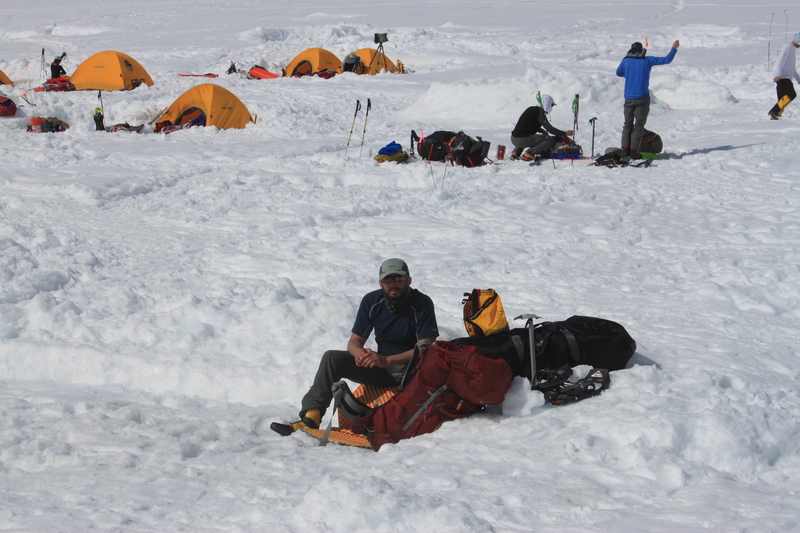 The next 48 hours turned out to be as tough as a summit though, fighting crotch-high unbroken snow, a deep crevasse fall and very difficult whiteout conditions to get back to Camp 3, then a very difficult haul back to Base Camp and the landing strip to make it home. It was a harrowing experience where pushing through pain and cold and utter exhaustion meant the difference between life and death. Our shared experience overcoming became one of those seminal ones, a foundation of the riser life. It taught me to keep pushing, keep surviving, keep overcoming, to never quit. And I learned that when I faced similar challenges relationally, NOTHING could bring me down. I can never be conquered by haters or challengers, I know I can overcome. 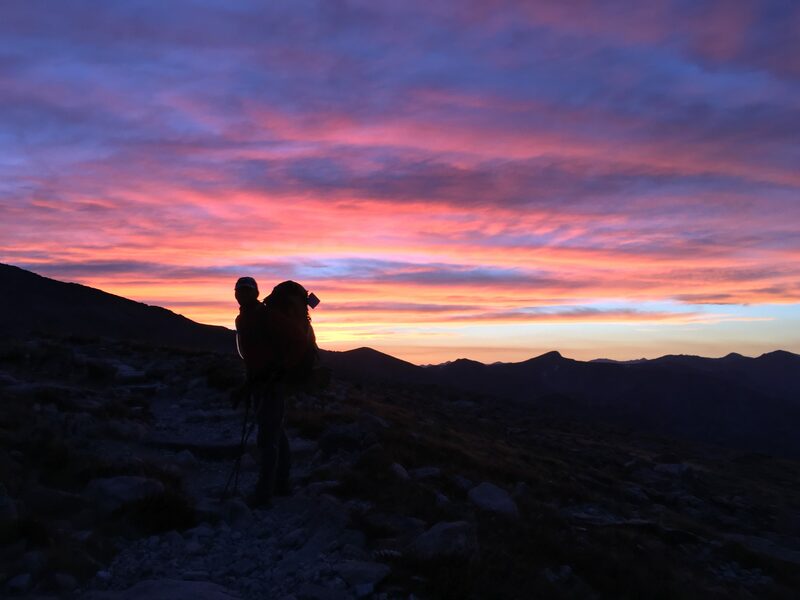 What have been some of your other memorable mountain summits? One of my favorite recent summits was a climb of Longs Peak in Colorado last September. 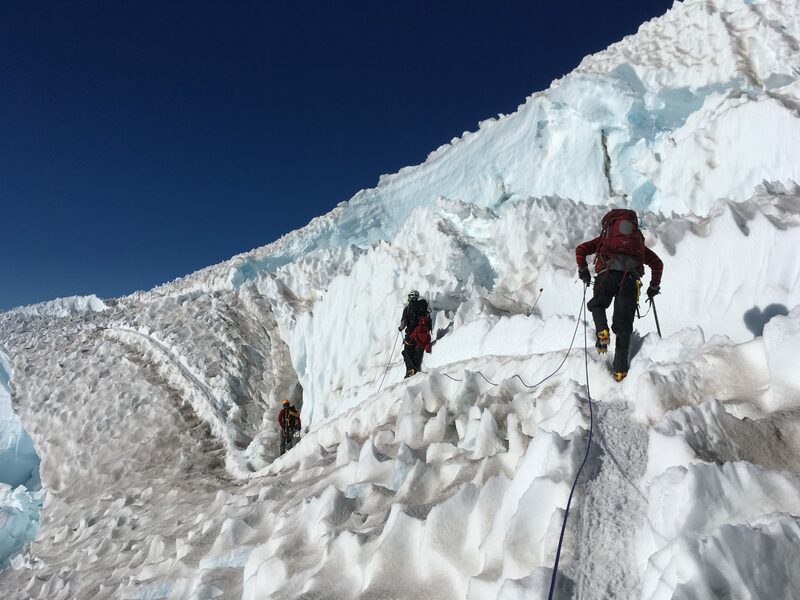 It’s not a difficult climb, but has some great route-finding objectives and a little bit of an altitude feel at 14,255′. Ryan and I left for the trailhead in the afternoon, raced to the Boulder Field to catch some Z’s, got up in the early morning and explored the Keyhole Route to find the summit and come back down. I loved the climb because it was new and different and so much fun exploring. One of my other favorite summits was a little climb in Eastern Washington on a small 2,000 feet riverside peak I named Entiat Peak. I used to sit across the way by the pool at a vacation house on the river looking up at that scramble and wondering if I could do it. I finally got off my duff, drove around to the other side of the Columbia river and scrambled straight up the 1,250 foot of elevation to the summit. 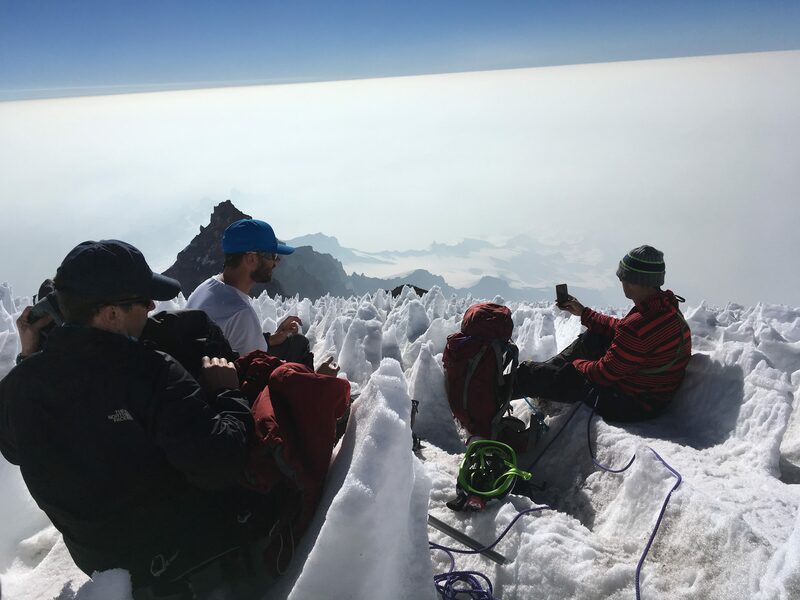 It took some exploring, some waiting on a pack of a dozen mountain goats, hopping over a few bee swarms, and lots of route-finding hand and feet up rock-slots and boulder-fields, but the solo summit was worth every stress, strain and scrape. And now I’ve done it more than a half-dozen times with several variations and leading up many other people. 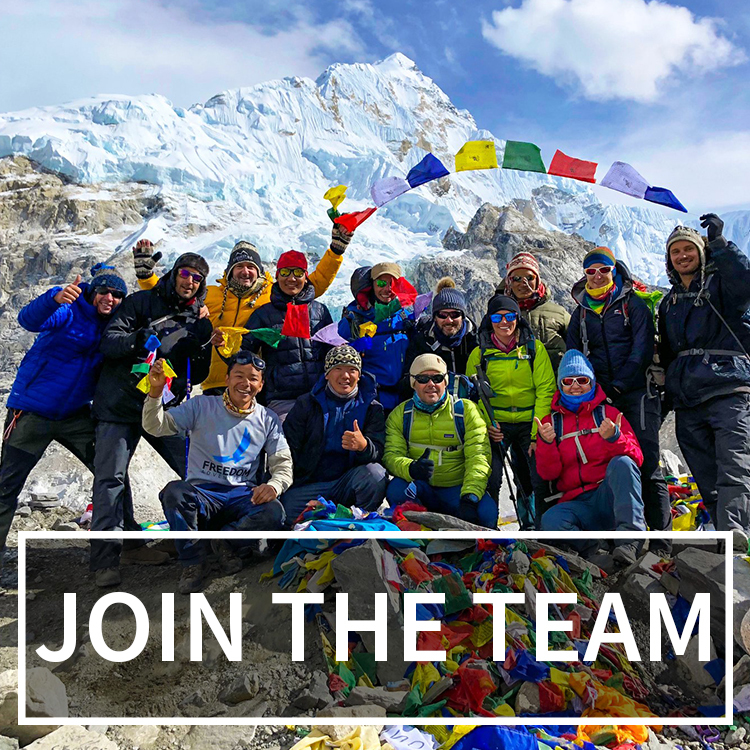 What are some of your (future) “Bucket List” summits? 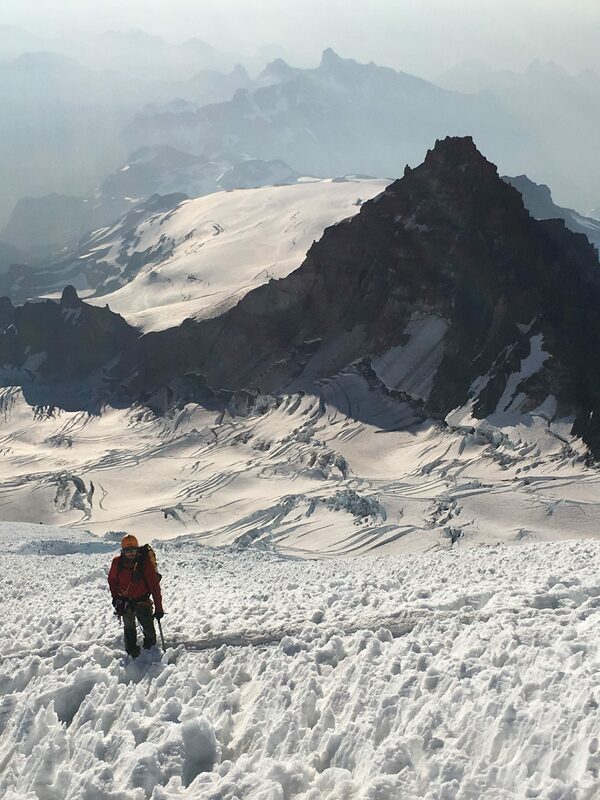 I have the ambition to get back to Denali again, and I’m interested in climbing Mont Blanc in the Alps, Elbrus in Russia, Mt Chopicalqui & Alpamayo in Peru, Aconcagua (the tallest mountain outside of Asia), and Cho Oyu in the Himalayas. We also see that you are very active in whitewater kayaking. How did you get involved in that sport, and where are some of your favorite spots? 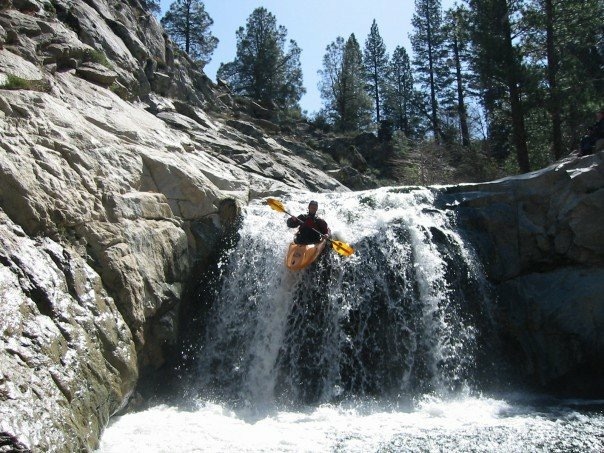 I started whitewater kayaking in the year 2000 because I love water and love adventure and wanted to combine them. 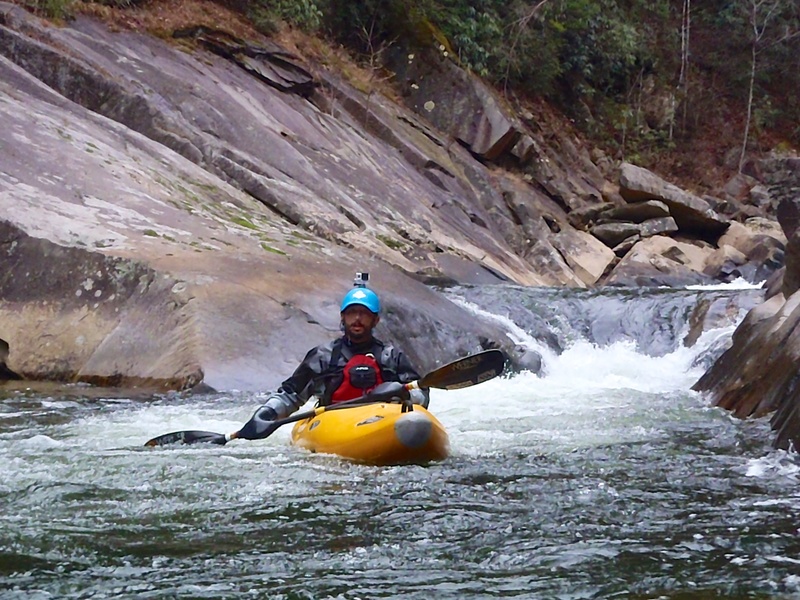 I realized I lived in the whitewater mecca of the United States: the Southeast. So I went to a roll clinic, found a friend to teach me and within 18 months I was paddling class 5 whitewater. Shortly after multiple runs on my dream river, the Upper Gauley in West Virginia, I got married and moved to California where I went to graduate school and paddled some more. The downside was lots and lots of shoulder subloxations and a shoulder that was getting looser and looser. After moving to Washington State I had to give up the sport until I got the shoulder repaired because it wasn’t safe for me to continue. I got into mountaineering and laid off the boating for nine years, but just kept getting drawn back to that love. So I had the shoulder surgically repaired (I had two fingers of play in my shoulder, NOT good!) and got back to it! It’s been harder to relearn my roll and the sport, especially post-surgery, but I’ve never been more thrilled to be back to one of my favorite adventures. I love paddling on my home river, the Middle Middle section of the Snoqualmie in North Bend, Washington, and a host of others like the Tellico and Ocoee in Tennessee, the Upper Nanty in North Carolina. My step-up goals are the Narrows section of the Green in NC and a return this fall to the Upper Gauley in WV. 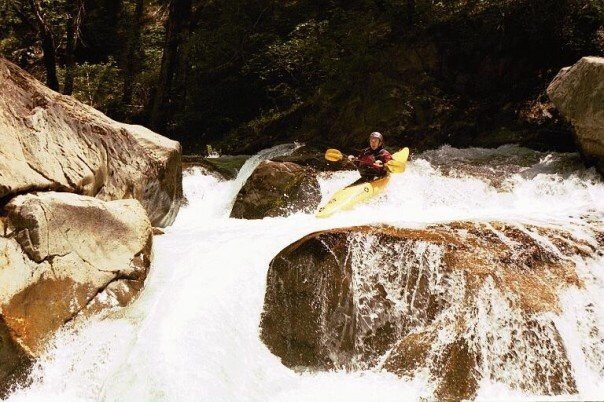 What is it about whitewater kayaking that appeals to you most, and how would you describe it to someone who is interested in starting the sport? Whitewater kayaking is freedom! It’s like riding a water-rollercoaster, but you’re always in charge of your own direction and destiny. It’s adrenaline and speed and water and fun all packed into one. It’s such an incredibly FUN sport. For me, my adventures have always been about overcoming fear and trying new things. I believe that any of us can overcome fears and achieve bigger and newer dreams through progression. Try something small. Realize you can do that. Try something a little bit harder, a little bit bigger, a little bit wilder. A bigger climb. A harder river. But with each new adventure and step, look back behind you, memorize those experiences, and realize what an amazing thing you have done! Arm yourself with those experiences in each new adventure to overcome your next obstacle. For me, that’s the overcomer life that I’m trying so hard to live. I’ll be going back to Rainier in the next few weeks to climb and I’ll be going to the Upper Gauley to paddle in the Fall, after a lot more training at the US National Whitewater Center in Charlotte, NC.